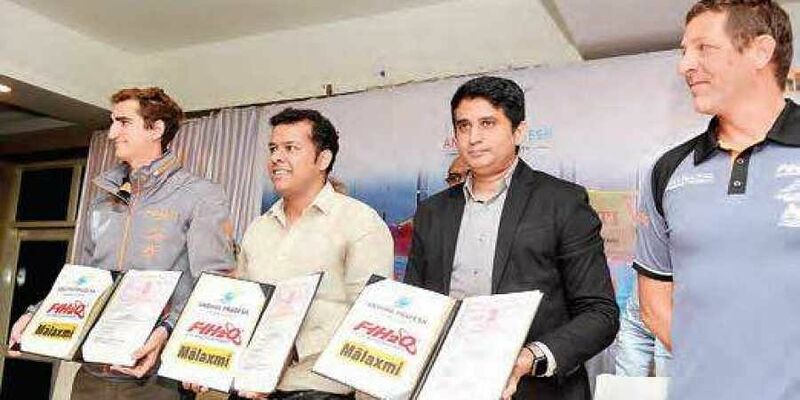 VIJAYAWADA: The government of Andhra Pradesh, represented by Himanshu Shukla, CEO, AP Tourism, entered into a memorandum of understanding with F1H2O Promoter Management and India Xtreme Adventure Activities to conduct the 6th round of F1H2O power boat racing in Krishna River in November. AP tourism department has confirmed that the F1H2O World Championship will take place in Amaravati on November 9, 10, and 11 with the support of United Internationale Motonautique. Among the nine teams and 19 drivers from the 12 countries which are contesting, there will be a team Amaravati. The announcement comes after one year of negotiations, which began last October when F1H20 racing signed a MOU with the Tourism department. Now, the flagship international power boat series is returning to the country for the first time after 2004. A delegation from F1H2O and UIM came to the city on Saturday to finalize the location of the upcoming event. “I am delighted that the negotiations have taken place smoothly and that F1H2O is returning to India after a gap of 14 years. I take this opportunity to thank the government of India, our local partner India Extreme, and all personnel involved. We look forward to a long lasting relationship of racing events with India,” said Paolo Di San Germano, F1H2O Racing President. “A dream is coming true today because of CM Naidu’s efforts,” said Mandava Sandeep, CEO of Malakshmi Group, which owns India Xtreme. The event is expected to take Amaravati’s brand name to a global level. There are also plans to generate revenue through the event by selling the telecast rights to channels and advertising. Team Amaravarti will not have drivers from India. “Racing is a novelty in India; we are unable to find experienced drivers for participating in the event. We won’t be able to find drivers from Andhra or even India to be part of team Amaravati,” Germano told Express.